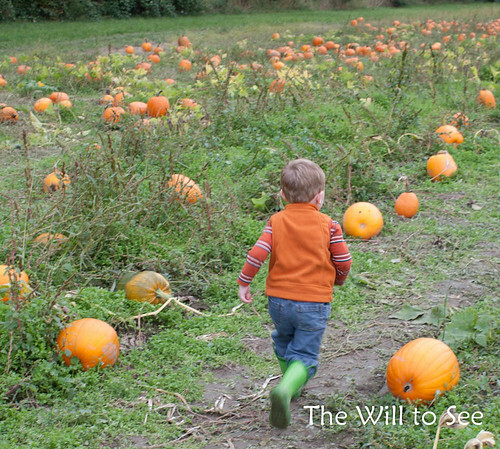 Last week we made our annual trip to the pumpkin patch at Fall City Farms in search of the perfect pumpkins. After Jack face planted getting out of the cart he headed out and picked out his favorites. Will spotted his down the field and took off running. Linking up with Shades of Autumn Photo Challenge at Project Alicia. Looks someone had a great time! !